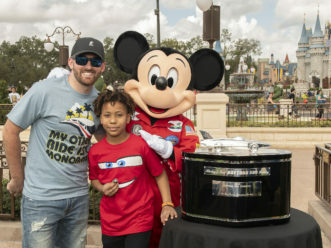 Lake Buena Vista, Fla. (Jan. 3, 2012) – Reality TV stars and wounded military soldiers are expected to be part of the more than 56,000 runners participating in the Walt Disney World Marathon Weekend presented by Cigna this weekend. 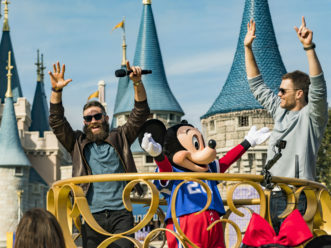 Ethan Zohn (Survivor / Amazing Race), Jenna Morasca (Survivor / Amazing Race) and Trista and Ryan Sutter (The Bachelor) are among the celebrities entered in the weekend of events at Walt Disney World Resort. 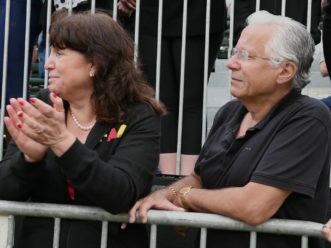 All are running in the half marathon on Saturday along with four wounded veterans who are part of the Achilles Freedom Team, which supports disabled runners. Workout guru Tony Horton, founder of the P90X workout, will be on hand to prepare runners for their race. The marathon weekend also features a new relay option that gives runners the opportunity to pair up and split the 26.2 mile journey through all four Disney theme parks – Epcot, Magic Kingdom, Animal Kingdom and Hollywood Studios – and receive a special Chip and Dale medal. And to commemorate the 15th anniversary of the half marathon, all finishers will be awarded a one-of-a-kind Donald Duck half marathon medal. 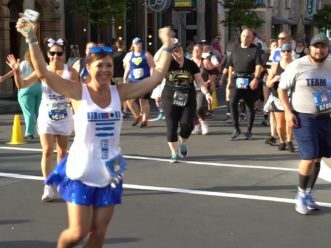 The 56,000 total runners – a new Disney marathon record – includes more than 26,500 registered runners for the half marathon, 16,500 for the marathon and 8,000 for the Family Fiesta 5K featuring the Three Caballeros – 3,000 more runners than last year. 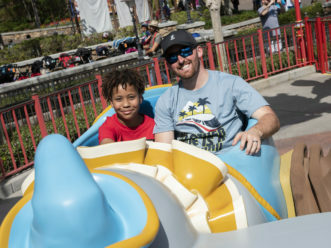 Approximately 6,500 runners will compete in Goofy’s Race and a Half Challenge which involves running the half marathon on Saturday and the full marathon on Sunday – 39.3 miles. 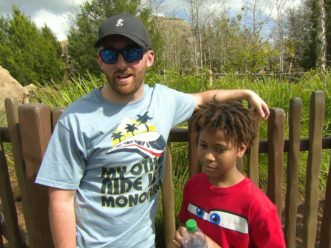 And about 3,000 young runners will join in the fun and participate in the Mickey Mile and Marathon Kids Fest events on Friday and Saturday. 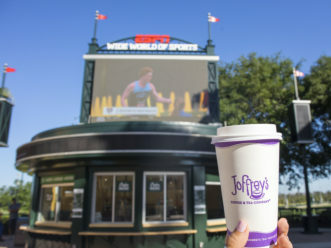 There’s also a Health and Fitness Expo at ESPN Wide World of Sports Complex Thursday – Saturday. 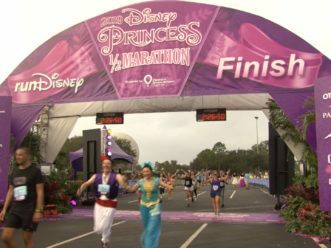 Vendors will showcase the latest running merchandise and equipment, plus there will be seminars by leading healthy and fitness authorities, including marathon training expert Jeff Galloway, the official training consultant for runDisney.